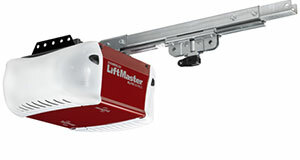 When the overhead door doesn't open all the way or doesn't close fully on the floor, the limit switch of the garage door opener might need adjustment. 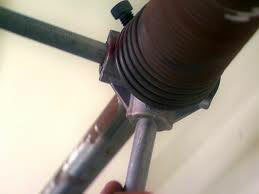 The work is delicate and must be done by our experienced technicians at “Garage Door Repair Monroe” since small mistakes will cause new problems. The point is not to solve one issue and create a new one. If the limit switch is wrongly adjusted and the door closes too tightly on the floor, the safety mechanism might be set off. Since the sensors are the prime garage door parts, which are responsible for your safety, you wouldn't want to make such mistakes. The limit switches are usually at the back side of the garage door motors and have a slot for easy use with a flathead screwdriver. The door must be in open position just below the header. The upper limit switch will ensure the door opens all the way and it usually needs one turn for every three inch gap between the full opening point and where the door stops. The bottom limit switch will regulate the gap, which might be under the door when it is closed. This is actually the hardest part. The door must close all the way, but without cancelling the work of the sensors. It needs special handling and you can be sure that we have great expertise. We turn the down switch clockwise to ensure the door will close properly. Though, we always check the behavior of the door. If the limit switch has been turned more than needed the door will come back up and we need to turn it counterclockwise to correct the issue. Clockwise or counterclockwise, the limit switch must be adjusted perfectly so that the door will close perfectly but the reverse mechanism will still work fine.